Modern Britain is a nation shaped by wars. The boundaries of its separate parts are the outcome of conquest and resistance. The essence of its identity are the warrior heroes, both real and imagined, who still capture the national imagination; from Boudicca to King Arthur, William Wallace to Henry V, the Duke of Wellington to Winston Churchill. 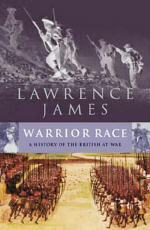 In WARRIOR RACE, Lawrence James investigates the role played by war in the making of Britain. Drawing on the latest historical and archaeological research, as well as numerous unfamiliar and untapped resources, he charts the full reach of British military history: the physical and psychological impact of Roman military occupation; the monarchy's struggle for mastery of the British Isles; the civil wars of the seventeenth century; the 'total war' experience of twentieth century conflict. WARRIOR RACE is popular history at its very best: immaculately researched and hugely readable. Balancing the broad sweep of history with an acute attention to detail, Lawrence James never loses sight of this most fascinating and enduring of subjects: the question of British national identity and character. "Lawrence James set himself an ambitious task and has produced a volume of much interest, enlivened by engaging personal vignettes culled from a variety of sources, archaeological, historical and literary…. (his) encyclopaedic knowledge and scholarship and his wide scope of interest, allied to his felicitous style and happy choice of examples to illustrate his themes, make Warrior Race a real pleasure to read." "...as James demonstrates so ably, one of the greatest engines for social, industrial and political change has been war and the country’s frequently excited reaction to it...James is aware of the spectral past and its closeness to the present. 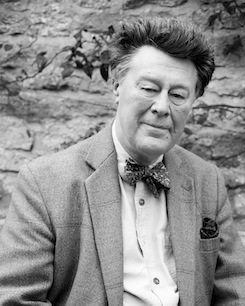 That sense of belonging informs everything he writes; in producing that never less than engrossing history James has come very close to explaining what makes the British character tick." "...substantial and entertaining...James is an accomplished storyteller, with an eye for the lively anecdote, and a nice turn of phrase..."
"Lawrence James has read unusually widely and deploys his often recondite sources in simple, readable English." "Warrior Race lacks the pretentious analysis of military strategy that afflicts many other war histories. Instead, its backbone is the people who fought and those who stayed at home." "The curious phenomenon of a genius for war working its way through generations of a phlegmatic, if not pacific people gives him tremendous scope, and he responds to the opportunity entertainingly." "...this majestic survey of war from Roman times to the present day. In his previous two books, The Rise and Fall of the British Empire and Raj James proved himself a master of the grand sweep of history. Warrior Race - with its clever balance between perspective and detail - is more of the same. This is a marvellous book: impeccably researched, expertly written and awash with telling insights." "Highly entertaining...the anecdotes are wonderful.Lawrence James has assembled more stories about British sailors, soldiers and airmen than any previous author." "He humanises the work by reference to individuals...The Warrior Race is first and foremost a book about people - how the British fare as warriors, and why...thoughtful yet sweeping...His perspective on the Jacobite wars is one of the delights of this book." "James's well-researched book...humanizes this history through vivid and telling vignettes."